Selling your home probably one of the biggest financial transactions you will undertake in your lifetime, and the decisions you make when deciding on a price with a buyer can have a significant impact on how much money you walk away with. These negotiating strategies will put you in the driver’s seat and help you get top dollar in any market. 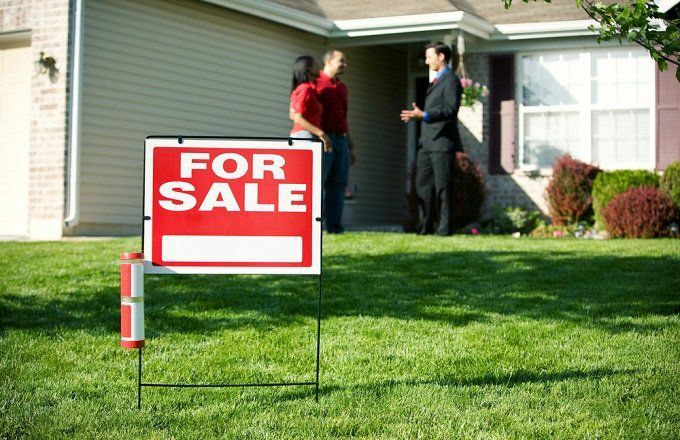 As a seller, you probably won’t want to accept a potential buyer’s initial bid on your home. Buyers usually expect a back-and-forth negotiation, so their initial offer will be lower than your list price, of course – but also lower than what they are willing to pay. At this point, most sellers will counteroffer with a price below their list price because they’re afraid of losing the potential sale. They want to seem flexible and willing to negotiate to close the deal. This strategy does indeed work in terms of getting the property sold, as thousands of sellers can attest, but it’s not necessarily the best way to get the top dollar. Instead of dropping your price, to get closer to the buyer’s offer, counter at your list price. Someone who really wants to buy will remain engaged and come back to you with a higher offer. Assuming that you’ve priced your property fairly to begin with, countering at your list price says that you know what your property is worth and you intend to get the money you deserve. A variation on the strategy of countering at your list price is to counter just slightly below it, conceding by perhaps $1,000. Use this strategy when you want to be tough, but you’re afraid that appearing inflexible will drive away buyers. If you’re gutsy enough, you can try a negotiation tactic that’s more extreme than countering at your list price. Simply reject the buyer’s offer and don’t counter at all. To keep them in the game, you then ask them to submit a new offer. If they’re really interested and you haven’t turned them off, they will. This strategy sends a stronger signal that you know your property is worth what you’re asking for. If the buyer resubmits, they’ll have to make a higher offer. Also, when you don’t counter, you’re not locked into a negotiation with a particular buyer, and you can accept a higher offer if it comes along. For the buyer, knowing that someone make a better offer at any moment creates pressure to submit a competitive offer quickly, if they really want the property. This strategy can be particularly useful if the property has only been on the market for a short time or if you have an open house coming up. List the home on the market and make it available to be shown. Schedule an open house for a few days later. Refuse to entertain any offers until after the open house. You might want to consider holding a lesser-known type of open house called a broker’s open house or broker’s preview. Potential buyers will expect to be in competition and may place higher offers as a result. You might only get one offer, but the buyer won’t know that. On the other hand, if you get multiple offers, you can go back to the top bidders and ask for their highest and best offers. When a buyer submits an offer that you don’t want to accept, you counter their offer. You’re then involved in a legally binding negotiation with that party, and you can’t accept a better offer if it comes along. In the interest of selling your home quickly, consider putting a short expiration time on your counteroffer. This strategy compels the buyer to make a decision so you can either get your home under contract or move on. Don’t make the deadline so short that the buyers are turned off, but consider making it shorter than the defaulttimeframe in your state’s standard real estate contract. If the default expiration is three days, you might shorten it to one or two days. In addition to closing the deal quickly, there’s another reason to push sellers to make a fast decision. While the counteroffer is outstanding, your home is effectively off the market. Many buyers won’t submit an offer when another negotiation is underway. If the deal falls through, however, you’ve added time to the official number of days your home has been on the market. The more days your home is on the market, the less desirable it appears, and the more likely you are to have to lower your asking price to get a buyer. It seems like it’s become standard practice for buyers to ask the seller to pay their closing costs. These costs can amount to about 3% of the purchase price and cover what seems to be a lot of frivolous fees. Buyers are often feeling cash-strapped from having to come up with a down payment, moving expenses, redecorating costs and buying furniture and appliances. Some buyers can’t even afford to close the deal at all without assistance for closing costs. While many buyers don’t have or don’t want to spend extra cash up front to get into the home, they can often afford to borrow a little bit more. If you give them the cash they want for closing costs, the transaction may be more likely to proceed. When a buyer submits an offer and asks you to pay the closing costs, counter with your willingness to pay but at an increased purchase price, even if it means going above your list price. Buyers often don’t realize that when they ask the seller to pay their closing costs, they’re effectively lowering the home’s sale price. But as the seller, you’ll see the bottom line very clearly. You can increase your asking price by enough to still get as high as your list price after paying the buyer’s closing costs. If your list price is $200,000 and the buyer offers $190,000 with $6,000 toward closing, you would counter with something between $196,000 and $206,000 with $6,000 for closing costs. The only catch is that the price plus closing costs must be supported when the home is appraised; otherwise, you’ll have to lower it later to close the deal because the buyer’s lender won’t approve an overpriced sale. The key to executing these negotiating strategies successfully is that you have to be offering a superior product. The home needs to show well, be in excellent condition and have something that competing properties do not – if you want to have the upper hand in negotiations. If buyers aren’t excited about the property you’re offering, your hardball tactics won’t cause them to up their game, but just walk away.